Growing up and spending a lifetime in a community gives you insights few others will see. In my early years, we did not know the meaning of racism, and respecting your elders was something everyone did. The seeds of hate and animosity being sown. We have a copy posted at the bottom, where I added my own reply to their hate video. In my early years I used to think Chiefs in regalia were legends that were immortal, but when the kids you grew up with become the chiefs, the same ones that we did bumper sliding with (going places by grabbing bumpers on icy roads) then growing up to where we started drinking booze, till we drank way to much of it, and the days you sell fish illegally to come up with funds for booze and gas, and yes years of hard work as well as breaking the law once in a while, then watch some become hereditary chiefs shines a new light on the immortals of my childhood. There was a lot more living that went on in between our childhood and the days we became senior citizens, but you get the drift, we were nothing special, just humans growing up and getting older. They say age brings wisdom, the wisdom mostly of experience, because education evolves much faster than the years of our lives. How often have you heard parents gasp in wonder at how intelligent the next generation is, that’s not imagination, it’s a fact. Our kids will grow up to be much more intelligent than we are, barring alcohol and drugs do not stop it. I fully understand and don’t blame any old senior to lash out in defense of their nieces, even if that old man wears a blanket and is now called a chief. We stand by our kids even when they do wrong, but we cross a dangerous line when we support them in wrong doing. At my age I do not need to look up to hereditary chiefs unless they happen to be a lot older than me (not likely) I have the right to look them in the eye, face to face. Well that said, rights and reality are two very different things, the reality is you may have the right of way driving a Volkswagen beetle in a 4 way intersection, but you’re better off to stop if that loaded tractor and trailer refuse to stop. Such was and remains the situation for 3 much younger female hereditary chiefs, they might have equal vote, other than when a vote does not matter, and it’s the power of the beast that matters. So that brings me back to our educated young people, who have grown beyond blindly accepting rules made by bullies. In their wisdom they collectively agreed to make each member equal, and have an equal say in matters. The point is when men or women get too old they get out of touch with the younger generation and I say that as a senior citizen myself. If we are going to look back at what good we have done, and looked back at all that is wrong with this world, remember what is out there today, bad and good is something we did to the world around us. If it’s a mess it’s our mess, if we did good, we should now stand back and hand over the reins. But we have a problem, they refuse to hand over power, and they stand piously by watching members of their own families lie through their teeth and create chaos among all our people. The money squandered as a result of these childish antics are costing society millions of dollars, and only an ignorant old fool would shrug that of and say they don’t care. 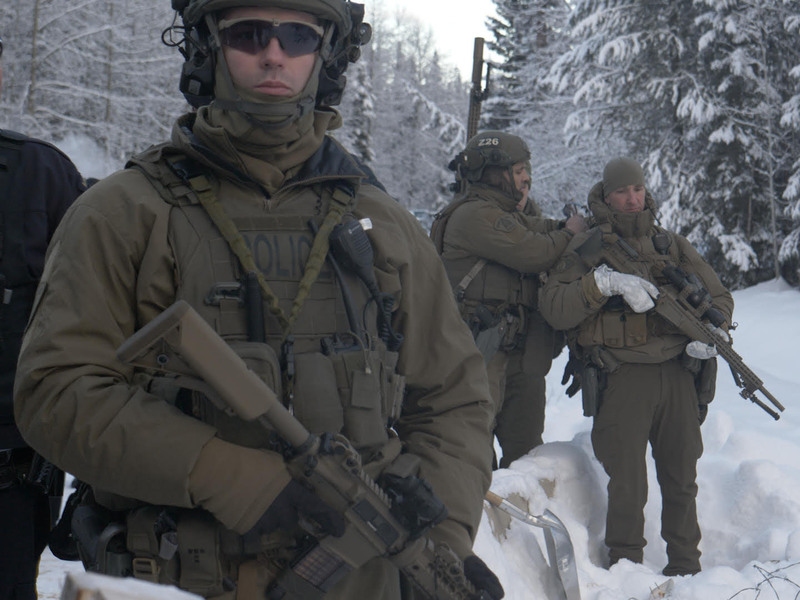 The lies about the brutal assault that happened at the Gidumt’en blockade where you use the only photo of 3 tactical officers and flog it like the army arrived, in fact your early reports did say there was a military invasion. It was one of the most peaceful take downs in recorded history by police. Watch the video, we have it posted. If anything it was humiliating as to how long these bragging protestors actually held their line. The only reason they were there was to insure the safely of everyone there, all it would take was one sniper shooting one of their own to create total chaos and multiple deaths. So be thankful they were there for you as well. Creating garbage like making claims of ancestral burial grounds, you old fools know that is a blatant lie or you would have records of such already in place by way of oral hearings at the Delgamuukw case, no such claim was made in the days of putting together oral history for the Wet’suwet’en. These are simply outrageous lies created to drive up both policing costs as well as that of CGL. Making something out of nothing at all, this area was logged off once before and you would not even be here but for the logging roads that were not built by the Wet’suwet’en people. A full archaeological assessment was done in 2015 revealing nothing significant to be of concern. Then you have the other group of hooligans and yes once again these are your nephews and nieces. That build this makeshift camp almost overnight to create a blockade, then claim that it was worth 10 Thousand dollars. Seriously when are you going to stop defending kids that are lying, your assisting them in becoming degenerates. This is precisely why the days of control by non-elected chiefs must come to an end, give them the proverbial key to the kingdom instead. Protecting your children is one thing, endorsing them to break the law is yet another, that’s totally irresponsible. The rule by non-elected chiefs is not much different than the rule of Communism in China or Korea, it’s a rule by brute force, and it’s not the voice of the people. This is precisely why bands using democracy are doing so well, the people choose who will represent them, and they expect them to live up to their promises, or the price will be booted out of counsel next time there is an election. Democracy creates accountability and dictatorships create tyrants. I understand when your family has always controlled the lion’s share of both power and wealth, it’s hard to relinquish that control and hand it over to all members of the Wet’suwet’en Nation. The days where bullies are admired are rapidly coming to an end, it’s time for democracy and education to replace it. My reply to this video of “pure hate spilling out” by anarchists. First of all there was no filming of people done as if someone was capturing stolen shots, or emotions, this is a fully staged production, with each player in it, following a planned script. They use voice over, use footage from multiple takes, the person doing this might even deserve a job in the industry, its well done, but nevertheless staged. They might make it look like the proverbial fly on the wall observer, but reality is that this was created to create hate and raise more cash. You said all those trees are from our ancestors, all killed off. The truth is it was logged off a number of years back, without that logging you would not be here today. Yes they cleared an area that had at most 10 years of growth on it, and you knew exactly where to put the barbaric leg hold trap line, when you knew where they would be working. You said “Canada hates us Indians” the truth is you hate Canada, you want what you have not earned, that being the wealth you do not have, and you do not want to earn it, so you ride the coat tails of your forefathers. Then you rant on about how Canada hates other First Nations in an effort to draw sympathy and support from other First Nations, who by the way signed on with CGL as well. It’s a purely selfish act when one group of self-proclaimed anarchists and stop every community from getting the benefits of this project. The following First Nations all support the LNG project. Anyone who disagrees with you hoodlums is labeled as a First Nations selling out. Time to put some man pants on kid, and work like your forefathers did. Then you tell other First Nations that Canada hates them too, fact is your hate is your hate, its your issue not theirs. There is no hate but your own happening here. But the -35 out there has you wishing you were back in town, you cannot even handle the weather that was a norm in the days of your forefathers. You rant on about about hate, it was only a matter of time when you would be using the swear words that are normal in your daily life. Kid we live here, your not new in town, and we are not either, who are you trying to kid? 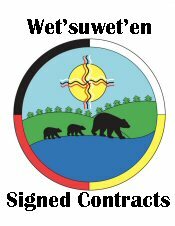 You speak English because its your first language, the only blessing in this for you is your learning to speak Wet’suwet’en. Scratch that, we know its for money and out of territory support. Yet your own brothers and sister are forbidden to support the pipeline or they get slashed tires and God knows what other barbaric actions you deploy to force your will on others. “We fed them when they needed it” Holy smokes kid, your dad was not even in diapers yet when both aboriginals and settlers helped each other with survival. When was the last time a relative of yours was in the Bulkley Valley District Hospital? You really need help with anger management issues. Forced us into residential schools, really kid? I am a senior citizen, and when I was going to school there were a lot of our aboriginal brothers and sisters going there too. Next time your in Smithers check out the Bulkley Valley Museum. Mandatory enrollment ended when I was still in diapers, but ok if were trying to create race hate I will give you that one. But lets be clear, your riding the coattails of others again, none of this happened to you. Then you rant about not letting them win, just who is them? You mean all your aboriginal brothers and sisters who want this pipeline, want the benefits it will bring First Nations? Its not the Indian in you people hate, its your obnoxious behavior that they hate. 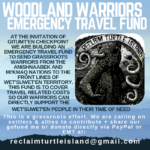 This entry was posted in Aboriginal Issues, Aboriginal Radicals, Bulkley Valley, Coastal GasLink, Editorial, LNG and tagged Failed Governance, Freda Huson, Gidumt'en blockade, Hereditary Chiefs, Unist’ot’en. Bookmark the permalink.